For as long as I can remember Internet Explorer has been a pain in our asses….for web developers that is. Well guess what? Microsoft has done something we never thought they would ever do. They're killing off Internet Explorer 8, 9 and 10. 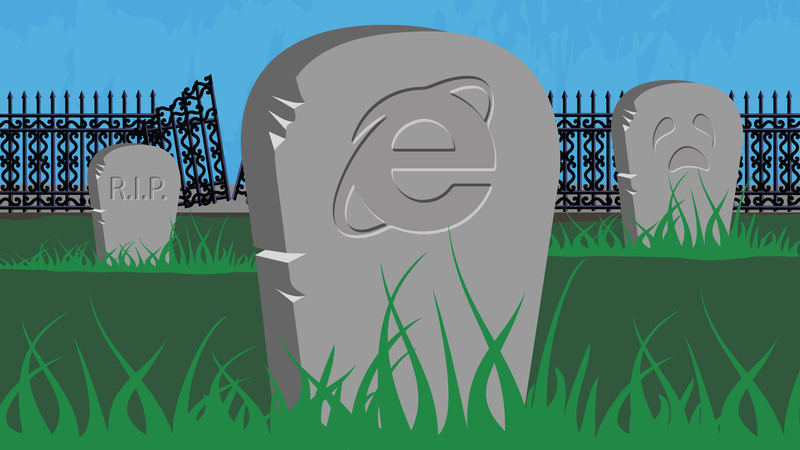 The browsers will be reaching the end of their life span on January 12th, meaning they will no longer be supported by Microsoft. They're releasing a patch on Tuesday that will basically annoy the Explorer users on the launch of the browser to upgrade to a more modern browser. KB3123303 adds the nag box, which will appear for Windows 7 and Server 2008 R2 users still using the old browsers after installing the update. For web designers and developers this is great news, we all have memories of creating some new awesome site or web app, only to check IE and realize it doesn't work. Even worse, your layout is all out of whack then you end up having to create conditions specific to IE. I've been using IE 11 for quite some time now and it's a step up from its old predecessors, its the only version of the old browser will live on – at least until more users and corporations move to Edge on Windows 10. Edge is everything we wished IE had been for years, it's on par with its peers Chrome, Firefox and Opera. If you're still using anything below Explorer 11, first, what's the matter with you? And second, time to upgrade before its too late.